The Major Championship season is now over and the focus of the golfing world moves onto the Fedex Cup. This week sees the final tournament of the “regular season” with the top 125 players in the Fedex Cup rankings moving into the playoffs series starting next week at The Barclays. Rory McIlroy leads the standings after his PGA Championship win, but perhaps more importantly, players around the top 125 “bubble” include David Toms (120th), Paul Casey 125th), Ben Curtis (131st) and Mike Weir (134th). The week following a Major normally sees many of the bigger names taking a week off, especially seeing as there are four straight weeks of playoff golf taking place from next week. However, there is still a good line up here with Brandt Snedeker, Webb Simpson, Patrick Reed, Bill Haas and Hideki Matsuyama all teeing off on Thursday. The Wyndham Championship was previously known as the Greater Greensboro Open and has been played at the Sedgefield Country Club every year since 2008 (and from 1961 to 1976). The Ross Course is played over 7,130 yards and has a par of 70. Last year Patrick Reed beat Jordan Spieth in a play-off to win the Wyndham Championship with Brian Harman and John Huh two shots back in joint third. Sergio Garcia won the event in 2012, Tim Clark two shots back in second and Bud Cauley a shot further back. Webb Simpson, Arjun Atwal, Ryan Moore and Carl Pettersson are the other winners since the tournament moved back to the venue in 2008. Sam Snead holds the record of eight wins in this championship. There are no obvious stats that stand out this week – a player doesn’t have to be the longest or more most accurate driver to do well here and being one of the tour’s best putters doesn’t seem a necessity either. Generally players who have a good all round game do well here, as the top finishers in the last couple of years feature well in the overall scoring average for the year. These top finishers also appear to have a solid short game, featuring solidly in the scrambling category for the respective year. Making my picks I’ll focus on scoring average, scrambling, overall form, course form and also players who might be more focused being around the bubble. Hideki Matsuyama – Matsuyama is on a good run of form, having won the Memorial Tournament and having solid finishes in the top 40 at all three of the recent Major Championships, as well a 12th at the WGC Bridgestone Invitational. Currently 22nd in the Fedex Cup rankings, he is a solid pick this week. Patrick Reed – The winner here last year and two times winner on the PGA tour this year. After his win at the Cadillac Championship in March Reed famously stated “I’m one of the top five players in the world” which led to something of a backlash on social media. This seemed to affect him and his results slumped, however a 4th place at the Bridgestone Invitational and a solid performance at the PGA Championship see a player returning to form. Tim Clark – Clark came second here in 2012 and followed it up with a solid 26th last year. Clark was having a tough season but followed up a fifth place at the John Deere Classic with a win at the Canadian Open last month. 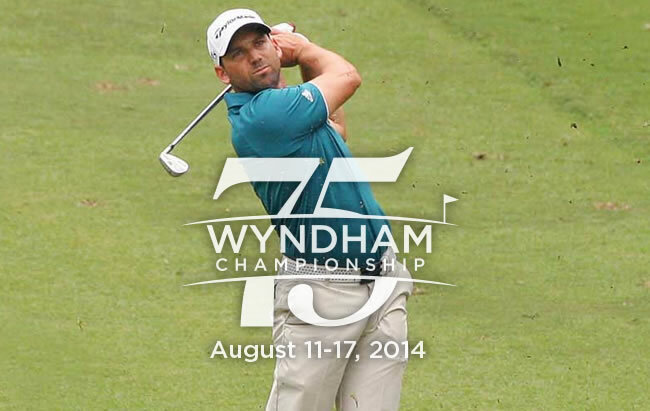 Disappointingly missed the cut at the PGA Championship, but will welcome a return to the Wyndham Championship. Matt Every – Every won the Arnold Palmer Invitational this year and has very solid form at the Wyndham Championship with a 14th and a 5th in the last two years. His form is not so hot, but shows he is capable of a good week after a bad run, with a 3rd place at the Fedex St Jude Classic after a run of three missed cuts and a withdrawal. Brooks Koepka – When it comes to scoring average Koepka is 24th on the PGA list (one of the top players in this particular field). This player is on a solid run of form having had a 4th place finish in the US Open and a top 20 in last week’s PGA Championship. This is a player who we can expect big things from. John Huh – Sleeper – Huh is something of a mercurial player in that he can be very good or very bad. In 25 events this year he has missed the cut twelve times which is not encouraging, but he has twice finished third this season the week after a missed cut – the Barracuda championship two weeks ago being his latest third place. Huh has solid form here – 19th and 3rd in the last two years. Greg Chalmers – Sleeper – Chalmers is on a solid run of form with five straight made cuts. More importantly Chalmers is sitting at 128th in the Fedex Cup rankings so needs a big week to nudge into the top 125 – made the cut here last year. Billy Hurley III – Sleeper – Hurley has made nine of the last ten cuts and had two top ten finishes at the end of June and early July. He is 23rd in scrambling and 56th in scoring average which shows a player who is suited to the course and is a very solid PGA tour player. The very early betting lines show that Brandt Snedeker is the favorite for the event, with Webb Simpson and Patrick Reed in a group just behind. Bill Haas, Hideki Matsuyama and Tim Clark complete the top six in the betting markets.